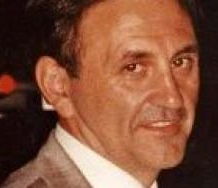 Raynald Desjardins Raynald Desjardins squeezed in his daughter’s wedding reception between surviving an attempt on his life and plotting to kill Mafioso Salvatore Montagna. The Oct. 1, 2011 nuptials represented a brief lull for Desjardins while he was being hunted — someone had tried to shoot him in Laval two weeks earlier — and was plotting with others to murder Montagna, shot to death Nov. 24, 2011. Evidence unearthed by police in the investigation into Montagna’s murder depicts the wedding reception as a social gathering for Desjardins’s underworld associates. Vanessa Desjardins covers her face April 2, 2013. 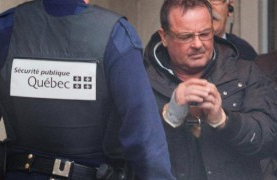 Gaetan Gosselin The guest list reveals Raynald Desjardins’s contacts in organized crime went beyond the Montreal Mafia. At least of few of the guests are longtime associates of the West End Gang and others are considered by police to be major independent drug smugglers. At least three wedding guests were later killed in the power struggle within the Montreal Mafia. Desjardins’s brother-in-law, Giuseppe (Jos) Dimaulo, 70, was killed outside his home in Blainville on Nov. 4, 2012. Desjardins’s business partner, Gaetan Gosselin, was killed Jan. 22, 2013. 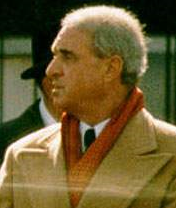 Giuseppe (Closure) Colapelle, was also killed months after the wedding. Giuseppe (Closure) Colapelle At least three of those implicated in Montagna’s murder — Calogero Milioto, 45, Felice Racaniello, 31, and Jack Simpson, 74 — attended the reception. Other names include Antonio (Tony) Volpato a high-ranking member of the Rizzuto organization involved with Jocelyn Dupuis in the Quebec construction industry. Alain Charron, 68, and Louis Nagy, 57. In June 2013, Charron and Nagy were among 13 people arrested in Operation Célibataire, an RCMP investigation into conspiracies to import hashish from Pakistan and cocaine from Peru. Their preliminary inquiry is scheduled for December. William (Billy) Johnston was a member of the West End Gang for decades. Gerald Myles McLennan and 17 other people were arrested in Halifax in 1990 in one of Canada’s biggest drug seizures. 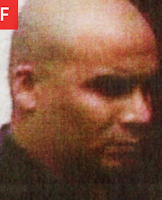 Wai Dai Cheung, 61 is described by police as “a dominant figure” in Montreal organized crime.